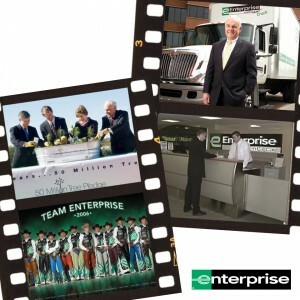 During its fifth decade, Enterprise Rent-A-Car left the old century behind and entered a new millennium … and celebrated 50 years in business. Along the way, the company surpassed milestone after milestone and set one new record after another – compiling a success story so compelling that it is being taught at dozens of universities. The company also ushered in a new era for the industry. In a trend pioneered and driven by Enterprise, more cars are being rented from neighborhood locations than at the airports for the first time in the history of the U.S. rental car industry. -Company climbs to 16th largest private company in U.S.